Climate Masters, Inc. Heating and Cooling is proud to serve the Creve Coeur community! 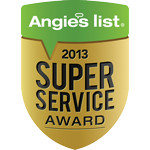 About Creve Coeur, MO - Happy to be your hometown Heating & Air Conditioning Contractor! 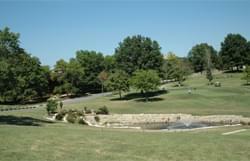 Creve Coeur is located in St. Louis County, Missouri, and according to the 2010 census the population was 17,833. It is known for being a second-ring suburb of the City of St. Louis, and it shares a zip code with its neighboring city, Town and Country. This city is made up of 10.27 square miles of total area, all of which consists of land, and its economy is recognized for its medical services and technological centers. Creve Coeur is part of a transitional zone between the humid subtropical climate and the humid continental climate, and it is known for having four distinctive seasons. Creve Coeur is home to a variety of attractions that may be of interest to visitors and residents alike. The city maintains seven different parks that make up over 95 acres and includes historic homes, tennis courts, walking trails, and playgrounds. The Dielmann Recreation Complex is home to an ice arena and golf course, while Creve Coeur Memorial Park is another top destination for outdoor enthusiast.